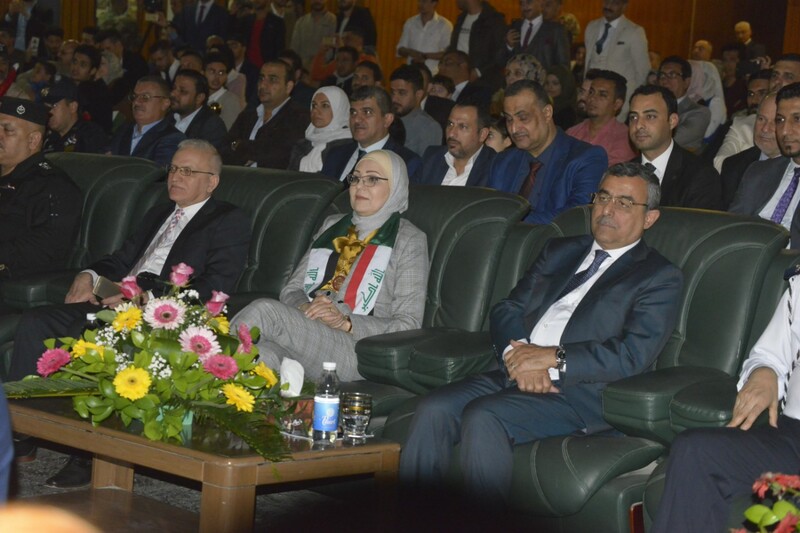 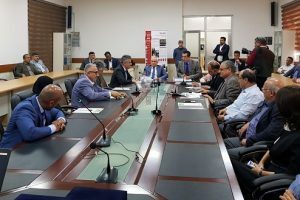 University of Baghdad hosted the annual celebration of Baghdad Day 2018 under the slogan “In Baghdad Day Celebration, we renew the vow to build tomorrow” with the sponsorship of Mayoralty of Baghdad since 1943 which is an annual tradition that reflects the depth of Baghdad history and its cultural heritage. 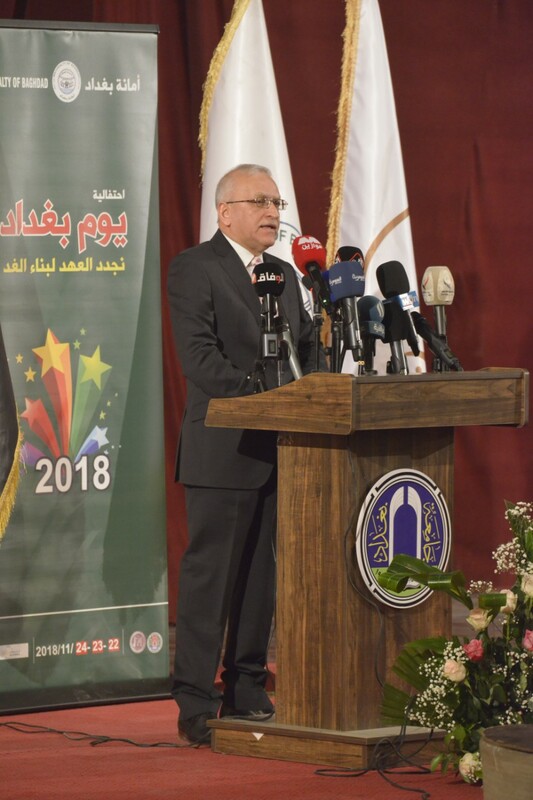 In his speech, Rector of University of Baghdad, Prof. Alaa Abdul Hussein Abdul Rasool stressed the need to focus on the historical depth of Baghdad throughout its great heritage by holding such events that reflect the Baghdadi legacy such as holding songs and photo galleries noting that this year was a distinct year for our university that entered several world rankings for best universities in 2019. 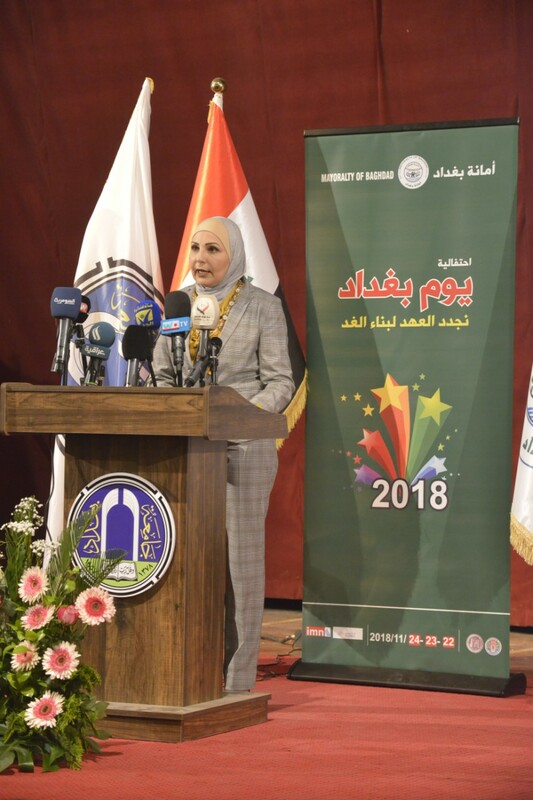 For her part, Dr. Zekra Alloush pointed out the importance of advancing the reality of the city of Baghdad for the better in the next phase to compensate for the years of insecurity and neglect. 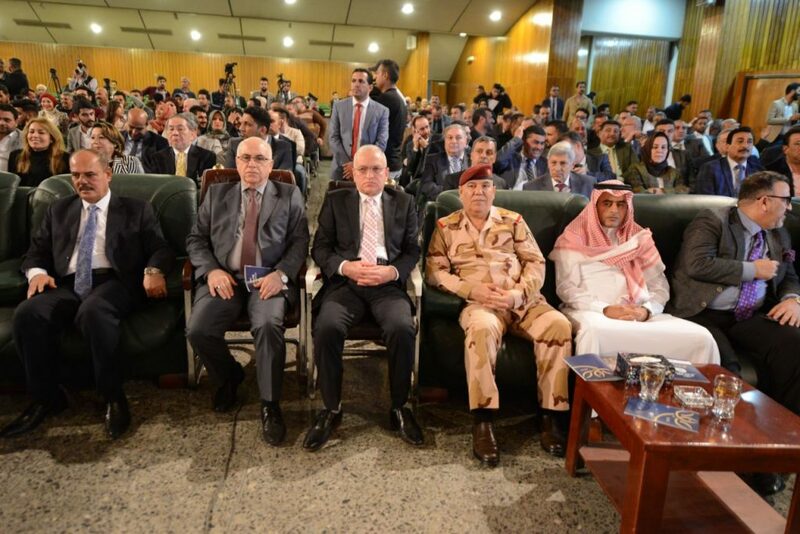 The ceremony was attended by a representative of the Prime Minister, Secretary General of the Council of Ministers, Dr. Mehdi al-Allaq, First Deputy Speaker of Parliament, Hassan Kareem al-Kaabi and a number of ambassadors from Arab Islamic and foreign countries. 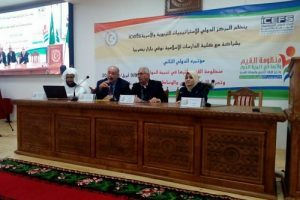 Then a play entitled (Baghdadi Dream) was presented written by the poet Rahim al-Iraqi and directed by Dr. Hussein Ali Harif and was acted by Sami Kaftan, Amira Jawad, Kareem al-Rassam, Aziz Kareem, Hashim Salman and the reader of Iraqi Maqam Taha Gharib, Tariq al-Rubaie, Ali Shakir and his young band. 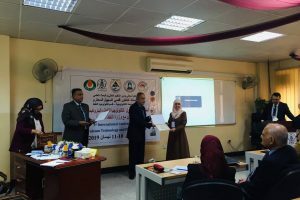 The ceremony concluded with a tour among university halls for photo galleries, painting, books, manuscripts and an exhibition of old cars and horse carriages.